THOR GUARD offers several software products to keep our customers in touch with their THOR GUARD lightning prediction data. It all starts with ThorPCX, our Windows based software that controls where and what you want to do with your data. Whether you want your THOR GUARD data displayed to a mobile device, website, map, or simply to a desktop/laptop for easy management of email/text notification, ThorPCX can provide a solution. ThorPCX is service software that installs on a Windows-based PC or Server. It is the core software that handles all THOR GUARD data. 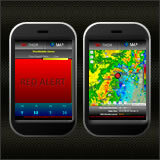 ThorMobile is a website application that displays your THOR GUARD data, NWS radar and severe weather warnings for smaller devices. 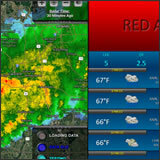 ThorTV is a website application that displays your THOR GUARD data, Hourcast, NWS radar and severe weather warnings for bigger screens. 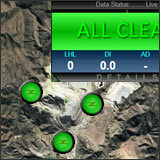 ThorMap is a website application that displays multiple THOR GUARD sensors on a customized map. 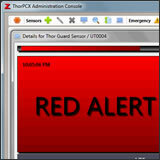 ThorViewer installs on any Windows-based PC on your Local Area Network to display up to 4 of your THOR GUARD sensors.